Go teach! 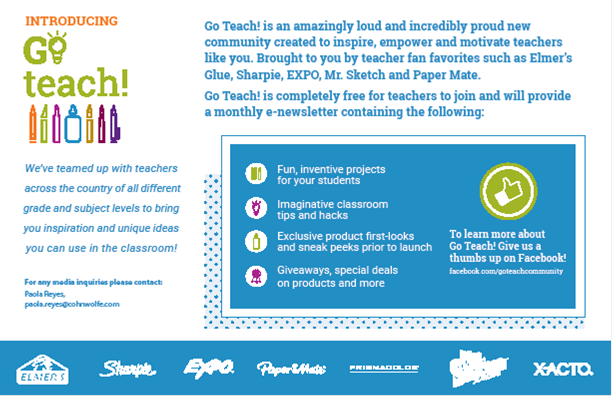 the online community dedicated to providing resources, classroom projects and tips, product giveaways and more will be hosting a month-long daily giveaway and product sweepstakes in honor of Teacher Appreciation Month. Each day will be a new chance for teachers to win a classroom prize-pack and ten lucky winners will win the grand prize – Classroom product supply for one year (a prize valued at over $500). To help teachers out there are a number of great products available! For a teacher, there is nothing more frustrating then running out of ink right in the middle of an engaging lesson. EXPO Dry Erase Marker with ink indicator allows teachers now to see into the clear ink barrel to see exactly how much ink is remaining in the markers! They are available in versatile chisel tip broad markers medium and fine lines. Plus they come in six bold and bright colors to keep teachers organized! 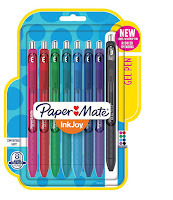 Teachers looking for fun and colorful ways to grade papers will love quick-drying Paper Mate InkJoy Gel Pens. With vivid gel ink that dries 3X faster* for reduced smearing, it’s like a party on the page where smudges aren’t invited. With 14 brilliant colors to choose from, your notes will be bright and filled with fun. There is a Sharpie out there for everyone! Not only do teachers love them, but moms do to! I love getting crafty with my Sharpie markers! Refresh Your Routine with Sharpie Clear View: Prioritize your ever-growing to-do list by highlighting what is most important. With Sharpie Clear View’s see through tip, you’ll always know where you start. Renew Your Love for Outdoors with Sharpie Extreme: With the warmer weather approaching, it’s time to get back to your favorite outdoor activities from gardening to camping. Sharpie Extreme’s bold and fade-resistant ink is perfect for labeling your outdoor equipment or dressing up your garden planters. 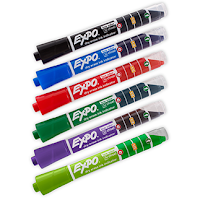 Redecorate Your Home with Sharpie Fine Point, Ultra Fine Point and Metallic Markers: Get crafty and bring the vibrant colors of spring indoors. From lamp shades and vases to picture frames and coasters, Sharpie delivers bright colors on a variety of surfaces and has just the right tip for your most intricate designs. Head on over to Go teach! today and check out the resources, classroom projects and tips, product giveaways and more. Make sure you enter the month-long daily giveaway and product sweepstakes in honor of Teacher Appreciation Month.